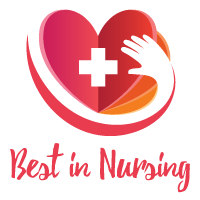 Sandra E. Cardone, Educational Nurse Coordinator – Brandon Newborn Intensive Care Unit at University of Michigan Health System has been recognized as a “Leader in Nursing” among “America’s Best Nurses” for 2017. She will be sharing her knowledge and expertise in Neonatal Care. With over two decades of experience in the field of Neonatal Care, Sandra offers valuable insight in her role as Educational Nurse Coordinator – Brandon Newborn Intensive Care Unit at University of Michigan Health System. Award- winning healthcare system and premier academic medical center, University of Michigan Health System has been the haven for groundbreaking medical and technological advancements since the inception of the medical school in 1850. Focused on becoming the national leader in healthcare, the University of Michigan Health System prides itself in being on the forefront of health care reform, biomedical innovation and education through partnerships, affiliations, and joint ventures. As the Educational Nurse Coordinator – Brandon Newborn Intensive Care Unit at University of Michigan Health System, Sandra’s day-to-day responsibilities include working at a fifty-two bed Newborn Intensive Care Unit, on boarding new staff on evening/night shifts and the general oversight of ongoing education and nursing internships. 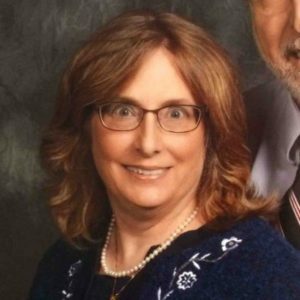 In 1990, Sandra earned her Bachelor of Science in Nursing from Eastern Michigan University. She holds a Certification for Neonatal Intensive Care Nursing (RNC-NIC). Sandra’s desire to pursue the field of Neonatal Care spawned after becoming a single mother and desiring a promising career for her future. While in nursing school, she recalls reading Neonatal Medicine articles and realizing she wanted to work in the Newborn Intensive Care Unit. Looking back, she attributes her success to discipline, commitment, dedication, and a life-long love of learning. Among her many accomplishments in her career, Sandra is most proud to have completed the 2015 Resolve Through Sharing Coordinator Training and to have ran a non-profit therapeutic petting zoo, “Equiscape Gardens”. Due to her unwavering dedication and commitment to developing diverse skills, Sandra was the recipient of the 2008 Silver Telly Award. In her free time, she enjoys hiking, gardening, videography, horse/mule riding, and animal assisted therapy. Considering the future, Sandra hopes for continual career growth, research, and to create clinical simulations designed to facilitate nurses’ ongoing education. Additionally, she plans to become both an NRP and S.T.A.B.L.E instructor. Michigan Medicine is home to one of the largest health care complexes in the world. It has been the site of many groundbreaking medical and technological advancements since the Medical School first opened in 1850. UMHHC’s vision is to create the future of health care through discovery and to become the national leader in health care, health care reform, biomedical innovation and education. Michigan Medicine is known nationally and around the world for excellence in patient care, education and research. UMHHC has earned recognition as “Top Performer on Key Quality Measures” from the Joint Commission.